Some people can feel overwhelmed when attending a group class and so personal tuition is a great way of introducing you to yoga. Personal tuition is a great introduction to the yoga class setting if you would like to develop your confidence before joining a group situation. In a personal yoga class you will receive complete attention and support and subtle physical adjustments may be made to help create firm foundations in your practise. If you are recovering an injury you will benefit from personal tuition as it allows time to focus on safe adaptations to aid recovery as well as help reduce any pain and explore alternative postures whilst still being able to enjoy a balanced practise. If you are wishing to enhance your practise as an experienced yogi, personal tuition is a great way to enhance what you have already learnt in a class environment focus on your strengths and improving weaker areas. Personal tuition gives the opportunity to do a whole-body evaluation of a student and to test their full range of motion. Then there is more to offer them in a public class because of that familiarity. A huge benefit in having personal tuition is that you can experience yoga in the privacy of your own home at a time convenient to you. Personal tuition can accommodate even the most hectic of schedules. If you don’t have space or its not a quiet environment then book in to the Yoga 7 home studio in the City centre of Worcester. Full price is to be made without 24 hours cancellation notification. Yoga is getting more and more popular with many people now aware of its many health benefits. Doctors have finally started to direct patients to Yoga instead of offering the usual tablets, this helps make Yoga more available and trusted. Yoga is even now on the high street in most Cities. Although most Yoga 7 classes being tailored to suit the individual, if you are a complete beginner, it is worth attending a beginners class. The breathing techniques will progress as the weeks and months go by but always start with deep abdominal breathing. The postures vary and can be adapted accordingly with higher and lower options being offered to suit the individual students needs. Classes suitable for beginners are on a Monday at St Peters, Tuesday at St Swithun’s Institute, Wednesday early morning The Academy, Wednesday morning at the Worcester Rowing Club and Friday mornings at The Academy. All classes are friendly and are open to everyone from the super fit to those not at all interested in fitness and of course everyone in between. A Yoga Class modified for pregnant and post-partum women. Qualified to teach pregnancy Yoga Claire at Yoga 7 has years of pregnancy Yoga experience so you know you are in safe hands. These practices omit deep backbends, deep twists and poses done lying on the belly, for obvious reasons. If you have an established yoga practise, then you are able to continue with your practise while pregnant with modifications for breathing, postures and the relaxation. We can use a Swiss ball and chair, blocks and straps to help with your practice. Its really important not to over extend during yoga while pregnant to avoid injury during and after pregnancy and birth. The hormone ‘relaxin’ is softening the joints during pregnancy and so they are more easily dislocated when over extending. Staying strong and healthy during your pregnancy is vital to give you and your baby the best start in these new beginnings. Pregnancy yoga is a wonderful way to connect with your body and unborn baby during this very special time. A vital part of a prenatal routine is trying to relax the body and mind and so the guided 20 minute relaxation at the end of each Yoga 7 Class in Worcester will be of enormous benefit. Please do bring a blanket to get the most out of this relaxation time at the end of the class. With years of experience ensuring Yoga Classes in Worcester are available to everyone, I am also qualified to teach Accessible Yoga Classes or Personal Tuition to those with a disability. The classical asana class is adapted to meet the needs of each individual with physical disabilities or chronic illness, the elderly, and people with and recovering from injuries. I am privileged to have taught Yoga to Para Olympic Athletes who competed in the ParaOlympics in Rio 2016, Yoga classes to those recieving palliative care, young people with psychosis and people recovering from chemotherapy. Each of us have our ailments or weaker or stronger areas and so it has always been important for me that no one be excluded from having a Yoga Practise in Worcester. Passionate about ensuring everyone can do Yoga I am a UK Ambassador for Accessible Yoga. Teaching accessible yoga means that slight modifications can be made to account for each individual, to the class being taught in a chair or on a bed. The practical application of yoga techniques and the psychological insight necessary for helping students with disabilities are all taken into consideration so as to better utilise yoga. All Yoga 7 venues in Worcester have wheelchair access. Finding that work life balance can be a challenge and so to help you Yoga 7 come to your work environment in Worcestershire, when appropriate and teach classes to suit all levels. This environment helps ensure that the whole of a person is taken into consideration. Experiencing yoga in the workplace can help with your personal relationship to work, your colleagues and also act as a form of team bonding. Yoga 7 has been delivering corporate Yoga in Worcestershire in schools to teachers who have a class straight after the school day ends before that journey home. Why not help create more of a life work balance and introduce Yoga to your workplace in Worcester? Some of Yoga 7 corporate clients include Worcester Bosch, The NHS, Worcester University and Fitfarms ltd. If you struggle to find a space in your workplace, then please do get in touch. Each Yoga Class in Worcester would be 90 minutes and the cost would depend on the number of colleagues attending with a minimum charge of £70. All equipment would be provided depending on the number of students. It is never too late to take up a yoga practise or attend a Yoga Class here in Worcester. As you approach the afternoon years of your life you body changes and so it is important to go with those changes focusing on strengthening and maintaining the body you have. Women in particular benefit from a regular yoga practise assisting them as they go through menopause. Common complaints in older age are associated with the digestion, arthritis and circulatory disorders all of which can be helped with regular exercise, proper breathing techniques and learning to relax your mind and body. You will experience more energy, more positive outlook and improved physical well being. It is really important that you listen to your body working with how it is on that day and not over doing it initially, and then after a few months you will begin to experience the benefits yoga can bring. As a woman in my 50’s I am able to empathise with the body as it changes particularly during menopause and have extensive experience teaching Yoga to mature people. 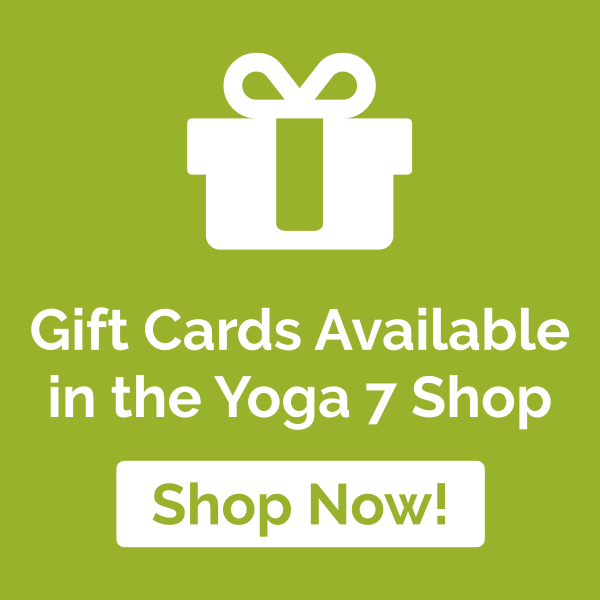 Yoga 7 offers Yoga to schools in and around Worcester. With a Masters degree in Youth Work and 7 years Youth Work experience I have a natural flair when working with young people and in particular the teenage years. Teaching Yoga to young people is very different to teaching adults. Not only is a child or young person’s attention span vastly different to that of an adult, the body as its not fully developed means extra care and attention with regards to alignment and preventing injury is needed. If you would like to introduce young people aged 8 years upwards to yoga in your school or Youth Group to help create mindful students in the classroom or at home then get in touch. Yoga 7 offers yoga classes before, during or after the school day and during the holiday periods. Help improve young people’s concentration, co ordination, strength, flexibility and body awareness. Yoga for teenagers is especially important during exam time, using breathing techniques to quieten the mind and relax the body. Having a regular Yoga practise can really help enhance your sporting performance helping you improve your personal best whether it be running, climbing, racket sports, rowing, rugby the list is endless. Whether in an office, car or on a mountain bike over the Malvern Hills, sitting all day shortens the ligaments in the vertebral column. When the body is kept in a steady position for a long time, the mind becomes free from physiologic disturbances caused by physical activities of the body. Yoga is a thoroughly practical system, which can profoundly help people in both everyday living and in exploring life’s deeper aspects. Yogic exercises are designed to maintain correct curvature of the spine, increase its flexibility by stretching both longitudinal ligaments. Yoga is not only a workout for the body but its also a workout for the mind, it helps with stress relief, aids concentration and obtaining a sense of peace. You will over a period of time become more in tune with your body and therefore better able to prevent injury. Worcester has so many sporty people who practise; cricket, climbing, rugby, football, cycling, running, tennis, squash, cross-fit, dance, rowing, canoeing, sailing to name a few, why not incorporate Yoga as part of that practise and get in touch by registering online. Some of Yoga 7 clients include professional sports people and participants in the Para-Olympics. So which ever sport your are into Yoga will absolutely help improve your performance.